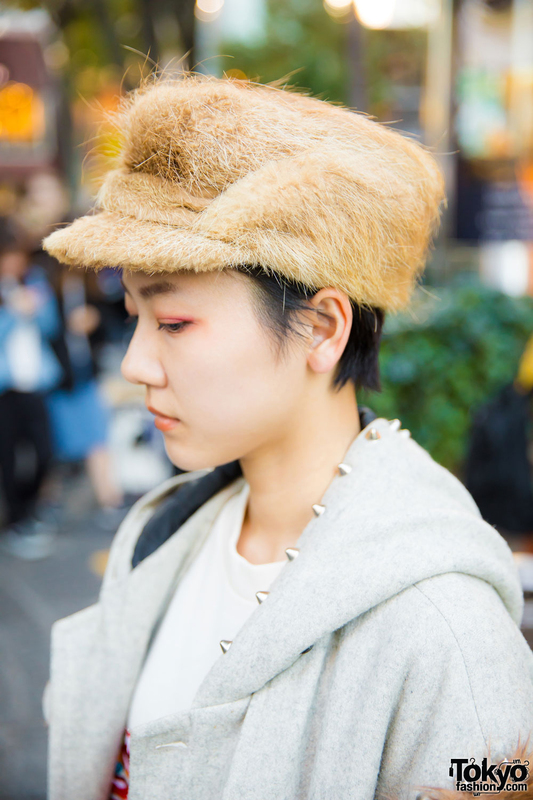 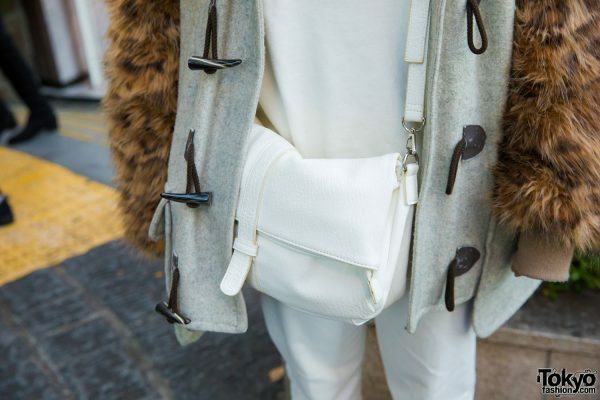 We met Konomi, a remake artist who caught our eye on the Harajuku street with her fur outfit. 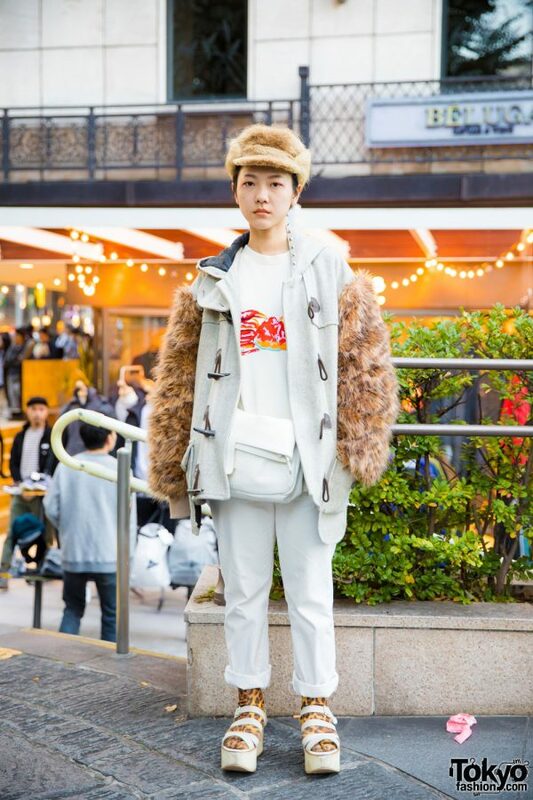 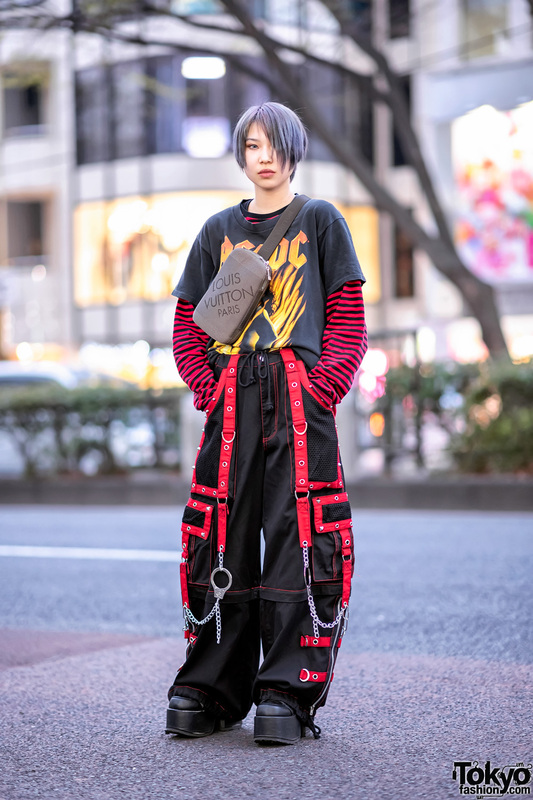 Konomi’s ensemble consists of a remake fur jacket over a white t-shirt from Written By, white cuffed pants, leopard print socks, and Tokyo Bopper platform sandals. She accessorized with a white sling bag and a fur billed hat. For her social media updates, follow her official account on Instagram.